With the increasing pressure for an evolution of the mobile network, several views are being discussed in the academic, industry, and especially standardization communities. 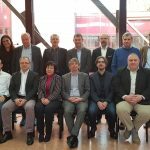 It is now clear that the upcoming 5G network, whose first deployment on carrier grade will start in 2019, will not be a fixed static design, since it will be expected to support a wide range of diverse requirements coming from verticals, service providers, and customers, but it will also entail an evolution path, with some design choices dominant on a first stage, and probably reconsidered in later years. Security requirements and enhancements for critical communications, smart factories. 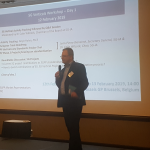 Working workshop, bringing together elements actively involved in the design of 5G network architectures, in order to reflect on the different pros-and cons. Participants – albeit representatives of different companies and institutions – will be covered during the discussion by the Chatham House Rule. A summary of the conclusions will be provided after the event. 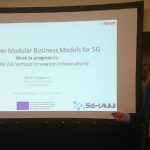 The workshop is organized under the auspices of the 5G-VINNI project (https://www.5g-vinni.eu/), a joint undertaking by several telecommunication operators, equipment vendors, research institutes and other organisations. This project has received funding from the European Union’s Horizon 2020 research and innovation programme under grant agreement No 815279. The details of each session will be advertised on short notice via e-mail and 5G-VINNI web-site.